The Rule of 72 is an essential concept for investors to master who wish to Invest Like a Farmer; it is one of the, if not THE, most important proverbial "rules of thumb" that can be used on nearly every investment opportunity you'll encounter. 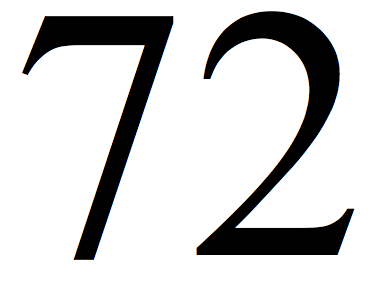 Simply stated, The Rule of 72 approximates your investment's doubling time. It accomplishes this by a rough (yet oddly accurate) approximation of factoring compounding interest which is a logarithmic function by using a relatively simple linear calculation. What? OK, basically if you know your interest rate or rate of return, divide 72 by that number and it will give you an approximate time to double your investment. Besides "Buy Assets," the next most important tool in your financial farmer work shed is "The Rule of 72"; it quickly and accurately gives a financial farmer a quick idea of the viability of an investment.